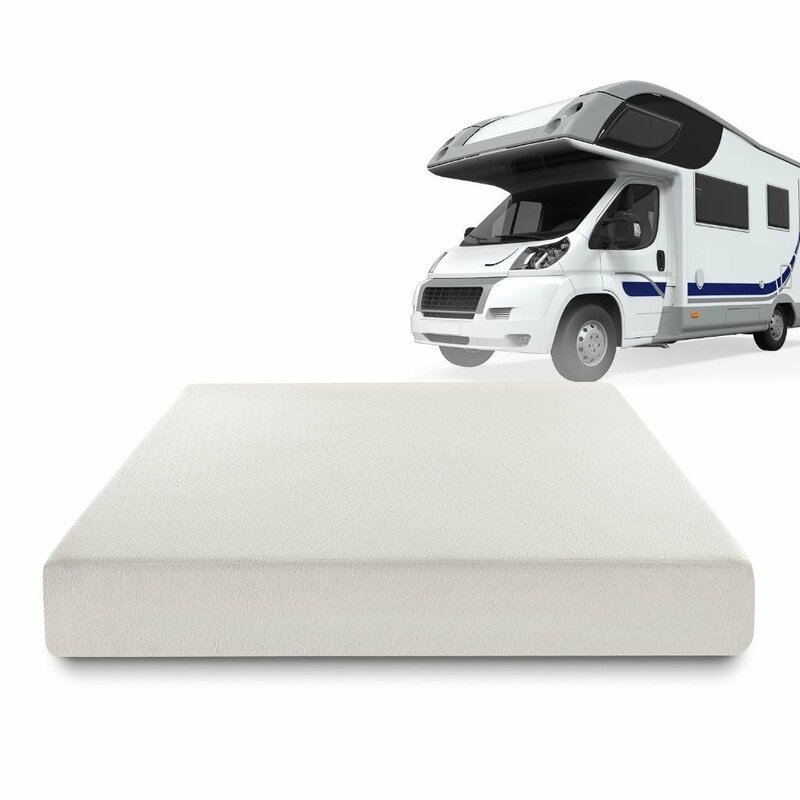 If you’ve ever had an unsatisfying night’s sleep and woken up feeling tired and even drenched in your sweat, the Zinus Ultima Comfort uses a conforming memory foam that gives the support you need for a refreshing sleep. It includes three layers that work together to keep you feeling great and let your skin breathe, thus eliminating the unpleasant sweat on hot summer nights. What’s more, if you want to get your money’s worth and you are tired of alternatives that work great for the first months but start to get worn out after that, with the Zinus model you have nothing to worry. It offers excellent durability by using only the highest quality foam that is CeriPUR-US certified for performance. Some customers have reported that the mattress has a powerful chemical smell that is quite upsetting and that does not go away quickly. A single wash of the cover is not enough and for some people that may be a big inconvenience. Frequent washes will get rid of the smell but if you are sensitive you should keep this in mind. The easiest way to identify a quality mattress is by the number of layers it has. Good foam mattresses are often made up of multiple layers, and in the case of the Zinus Ultima Comfort, you have three of them to make your night’s sleep a cozy experience. The first layer, the one that is located on the bottom, is a high-density and ultra-supportive base foam. This is the base of the mattress, and it is the extreme density of this foam that keeps the whole product in shape. Without it, the mattress would fold upon itself. The second layer is a pressure-relieving comfort foam. It is much squishier than the base layer, and it is designed to conform to the shape of your body. It will help keep your spine aligned while also accommodating the shoulders and the hips. Finally, the top layer consists of memory foam. This is a medium-density foam that is made specifically to puff up in the areas that receive the least pressure and to squish down in the areas with more pressure, thus molding to your body’s unique shape. 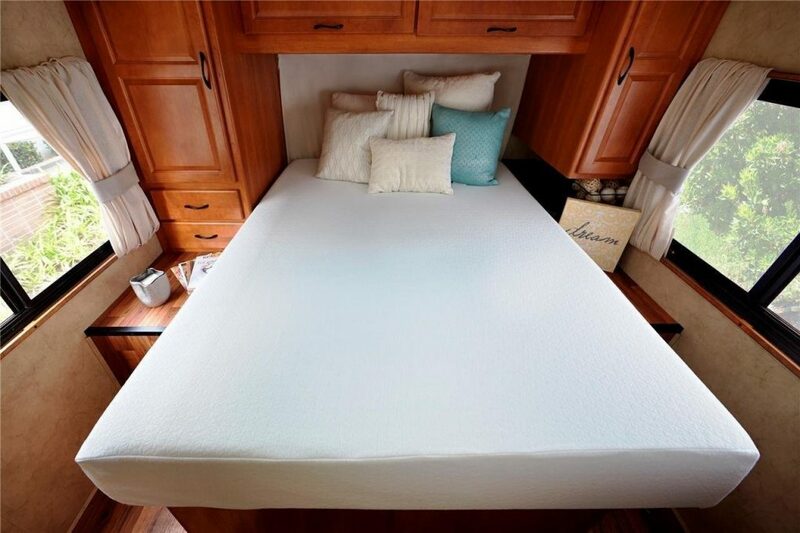 If you’ve had a hard time finding the right size that can fit your RV perfectly, you should be glad to learn that the Zinus alternative offers a comprehensive list of sizes. You can select an 8-inch, 10-inch, or 12-inch thick mattress. You are guaranteed to find the size that you need without having to go through too much trouble. With the Zinus Ultima Comfort, you can stop worrying about your product getting damaged while shipping. The patented technology of the Zinus model allows for smart shipping. This technology enables the mattress to be compressed efficiently, rolled, and shipped in a box. All this process will not affect the quality of the product in any way.